Garmin Virb vs GoPro: A Product Comparison - Which is Better? Home Buying Guides Garmin Virb vs GoPro: A Product Comparison – Which is Better? Garmin Virb vs GoPro: A Product Comparison – Which is Better? In the age of ever-present technology, more and more people want to record every moment of their lives. The ability to have a continuous record, a constant vlog, if you will, of your life and every adventure you embark upon is an amazing thing. However, it hasn't always been that way. There was a time when taking a photo took up to about seven minutes. These early cameras evolved quickly. Once the novelty wore off, we realized how photography could help us chronical our lives. Now we are faced with much more menial questions Garmin Virb vs GoPro, which one is better? The invention of cell phones and the addition of cell phone cameras soon allowed us to take unlimited photos and videos and to edit those photos and videos. It seemed the old-fashioned camera would become obsolete. Fortunately, that hasn’t been the case. 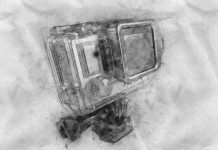 The camera has simply reinvented itself, once again, to accommodate what the 21st-century user wants. One of those reinventions is the action camera. Garmin and GoPro are just two of many companies who make action cameras. In this article, we’ll look at the Garmin VIRB vs GoPro Hero5. First, however, let's look at what makes an action camera different from what we might call a "regular" camera. Right now, the market supports five popular types of camera. There are a few other kinds that are used less frequently, but for the purpose of this article, we will focus on the five most common. The SLR, or the single lens reflex camera, was the standard way to take pictures for most of the 20th century. Although many advancements were made in shutter speed and automation, as well as an aperture and types of lenses, the basics of how an SLR takes photos remained the same for more than 100 years. At the end of the 20th century, we saw the introduction of the DSLR or the digital camera. Standard SLR cameras had already become readily available to the average person, but the film still had to be developed by a professional. The cost of purchasing film and developing photos limited the amount of the photos the average person could take. 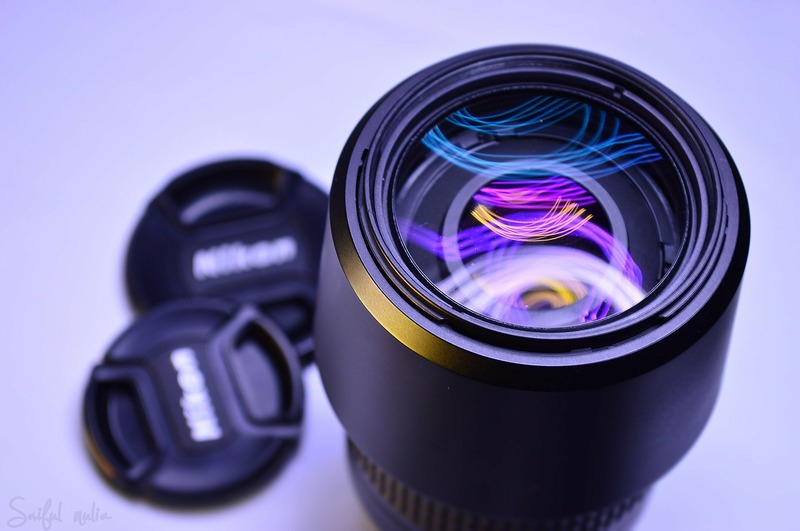 However, with the invention of the DSLR, or digital single lens reflex camera, you can take as many photos as the camera can store on its internal memory card. This could potentially be thousands rather than 24 - 36 exposures for a roll of film. 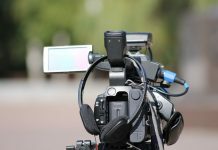 DSLR cameras can look nearly identical to SLRs, using many of the same lenses and features, or they can be sold as a compact DSLR. These smaller, easy-to-use cameras virtually replaced DSLRs for the average end-user in the late 20th century. Since the end of the 20th century, we’ve seen even more advancements in photo and video technology. The compact DSLR got smaller and smaller until, inevitably, it became part of the mobile phone. Most mobile phones now boast cameras that take equal or better pictures than the top of the line DSLR on the market. The average user made another shift in their buying habits and nearly stopped purchasing stand-alone cameras. There is a still a niche market for those who want to dabble in photography, spawning something called the bridge camera. This is a smaller DSLR with a retractable lens and fewer features than a standard camera, but it still has the capability to take a lot of high-quality pictures. They are great for someone who would like to break into professional photography and want a more affordable camera. Professionals continue to use the SLR or the DSLR with interchangeable lenses and all the features. 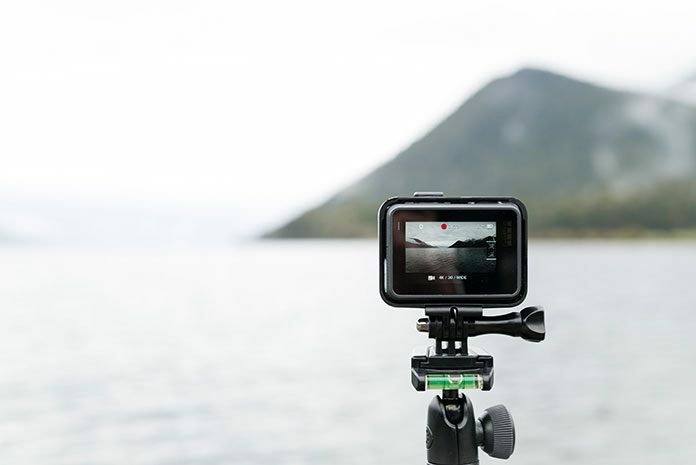 We’ve seen a return to the appreciation of photography as an art form in the last decade or so, as well as an uptick in users who want to film life’s adventures but don’t want to keep replacing phones they drop off of mountains or into oceans. For those users, another option was born. Some say it was also a product of the film industry where filmmakers often need to get complicated aerial or underwater shots. As movie cameras got smaller and yet better, and average people demanded that they be able to film high-quality videos themselves, the action camera was born. What is an action camera? 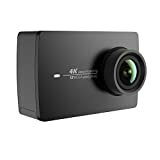 It’s a camera that will perform consistently in all kinds of weather, can stand up to a lot of wear and tear, and will take high-quality photos and videos without a lot of manipulation. It’s rugged and yet takes fine photos. 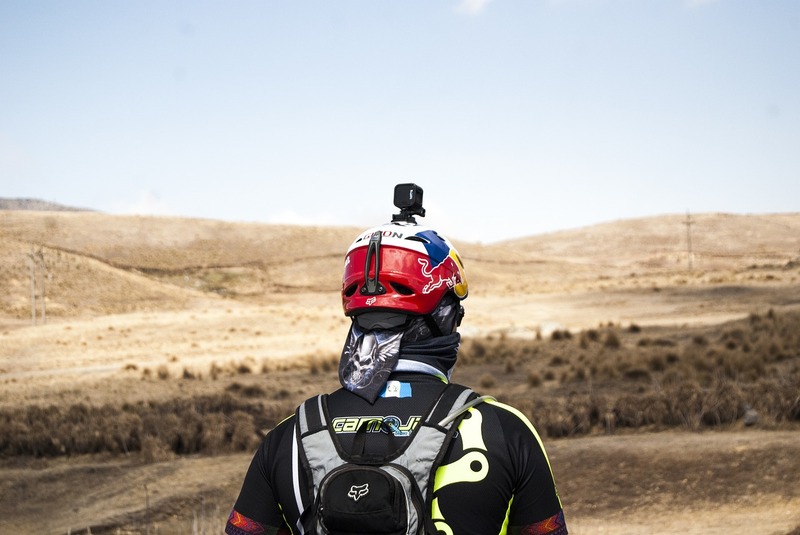 An action camera can be strapped onto your head while skydiving or biking or mountain climbing. Most can dive several meters underwater and can withstand being dropped, bounced, and even rolled over. 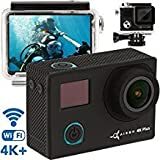 The action camera has opened up a new world of possibilities for both professional filmmakers and for the average person who wants to document every part of their life. They also provide a unique perspective, often going where cameras have not gone before. Since action cameras can be worn on the body and still maintain focus, you can film almost anywhere. They can also be mounted to a pole in order to get shots up high or can be slid into small spaces to get shots where most cameras, and humans, can’t go. Drones now have action cameras mounted to them, allowing people to film from angles never before possible. An action camera is versatile too, and if you love to go out and make life into an adventure, it’s a must-have item. 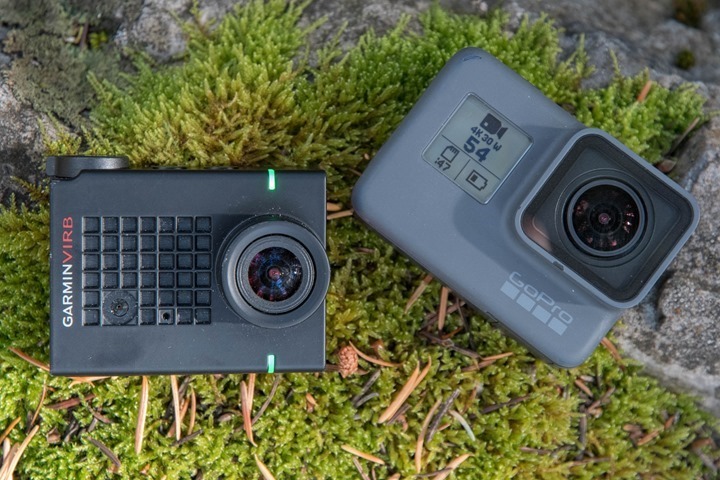 Two of the most popular actions cameras on the market right now are the Garmin VIRB and the GoPro HERO series. These two cameras consistently exceed expectations and have excellent consumer feedback. They are packed with features, and each has its own benefits. If you are considering purchasing an action camera, these are both excellent choices. In order to help you decide which camera will best fit your needs, we will look at both products, comparing their pros, cons, and how they each meet consumer needs differently. In our comparison of the Garmin VIRB vs GoPro, we will start with Garmin. Now that we’ve established the specifications and features of each product, let’s compare some of the key functions to determine which is the better product. Or, which product would best suit your needs. Everyone who is in the market for an action camera is looking to use it in a slightly different way. This comparison will help you make the right purchase for your situation. Although both cameras are similar in their general appearance, they have some essential design differences. The GoPro is very simple and can be operated in all types of weather and underwater. It is approximately 6x3x4cm in size and weighs about 117g. It’s slightly lighter than the Garmin, which weighs in at 155g. The Garmin measures roughly 7x3x5cm. The Garmin is heavier, but it has a completely waterproof enclosure that allows you to take it to a depth of 40 meters. Because of this superior protection from the elements, between the Garmin VIRB vs GoPro, the GoPro is the better design. Both cameras are pretty evenly matched when it comes to Resolution. Both offer 4K at 30fps and 1080p at 120fps. Garmin uses a more established, proven processor so that it might have a slight advantage. For the most part, however, they are evenly matched in this category. When it comes to GPS, Garmin is clearly ahead of the curve in this area. 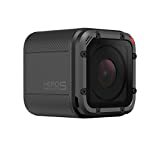 The company specializes in GPS devices, so their action camera has the most features in this category. The GoPro is able to capture movement and location data, but the Garmin does all of that and more. It can store a variety of fitness data. It’s also linked to a broader network of GPS and fitness tracking systems. Garmin uses the ANT systems to store and transfer your data. The ANT system is a USB disk that you plug into your home computer. Any time your Garmin is near the ANT stick, your data will automatically be downloaded. This feature puts Garmin ahead of GoPro in the GPS category. When you need to get your data off of your action camera, you need a solid system for doing so. Again, Garmin uses the ANT system to store and transfer data. As we stated, when using ANT, your data will automatically be transferred to your computer when your device is in range. 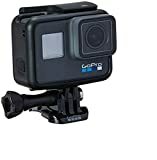 At this point, GoPro doesn’t have a compatible service, but they are introducing an auto cloud-based backup that may outshine the Garmin in the future. For now, Garmin wins the data transfer category. Both the Garmin and the GoPro offer voice activation at this time. The commands are slightly different, so there is a learning curve with each device. However, they are equally matched in quality when it comes to voice activation. Examples of Garmin's recognized voice commands are, "Start recording," "Stop recording," "Remember that," "Take a picture," "Enable Wi-Fi," and "Disable Wi-Fi." GoPro has similar commands; however, they all begin with "GoPro." At this point, the Garmin product is more expensive than the comparable GoPro model. 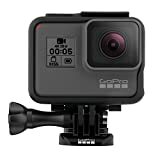 However, the new GoPro models are more in line with the Garmin price point. The Garmin retails for anywhere between $350 and $450. 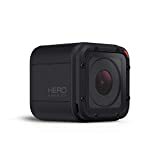 The GoPro HERO5 starts at about $250, while the newer HERO6 and HERO7 models retail for around $350. 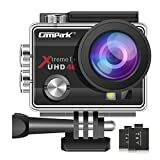 In order to get the most out of your action camera, you'll want to purchase accessories that suit your favorite activities. 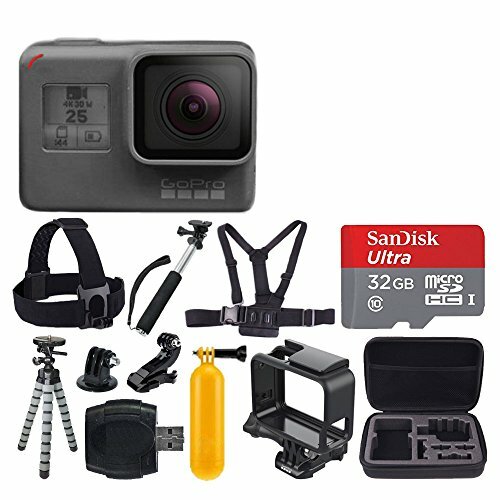 While both brands offer accessories for their products, GoPro clearly wins this category. The Garmin offers a gimble/tripod as well as a bike mount for filming while you ride. The GoPro, however, has a wide variety of possible accessories. There are also generic or off-brand accessories that will work with the product. 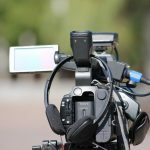 Accessories include a head-mount, a vest for wearing the camera, a handheld mount, a floating mount, a wrist grip, a suction cup mount, a variety of carrying cases and safety cases for the camera itself. Overall, the Garmin scores better when it comes to features. The ANT system is excellent and unmatched, the GPS capabilities are superb, and the resolution is excellent. However, the GoPro tends to be the more popular option. The design of the GoPro is smaller, lighter, and it can stand up to more weather and water. For this reason, the GoPro is the overall winner. 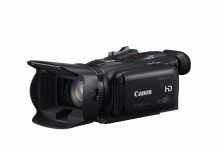 It’s great for athletes, families, kids, actors, and virtually anyone who wants a sturdy camera with which to make a high-quality video. For serious runners, however, or others who want to rigorously track their fitness data, the Garmin may be the better option. The ANT system can’t be beaten for storing fitness and motion data. When it comes down to it, the right action camera for you will depend on what you need from the device. If you are looking to film your family’s white water rafting trip, you may prefer the GoPro HERO5. It will hold up from the ocean floor (up to 40 meters) to the tops of mountains. You will get clear video and crisp shots every time. However, if you are more interested in keeping up with all the specs from your last marathon, go with the Garmin VIRB. 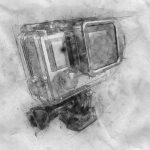 Overall, use this article to go over the specifications and features for each camera before you make a purchase. It’s also a good idea to visit a store and try them out. Sometimes, the feel of the camera in your hands tells you everything you need to know. Both the Garmin and the GoPro are excellent products, so the best action camera is going to the one that best meets your needs. Once you’ve selected a camera, get out there and take some great shots!